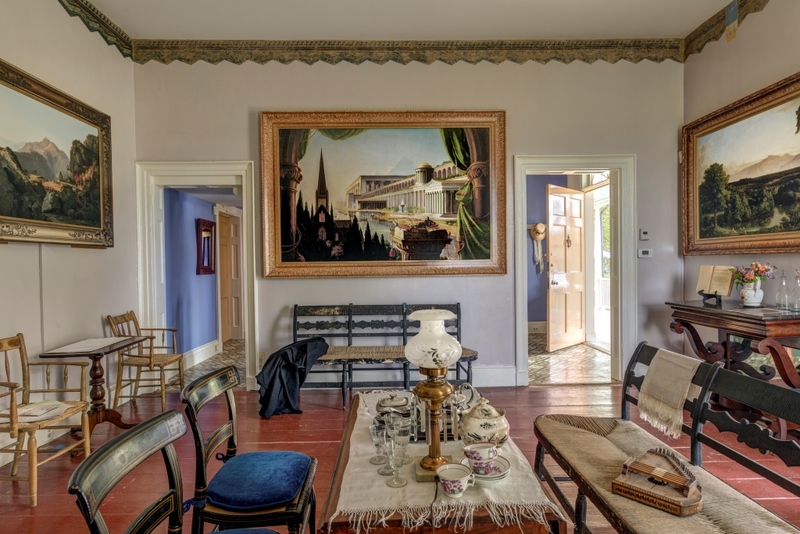 The Parlors brings Thomas Cole’s voice back into his historic home. 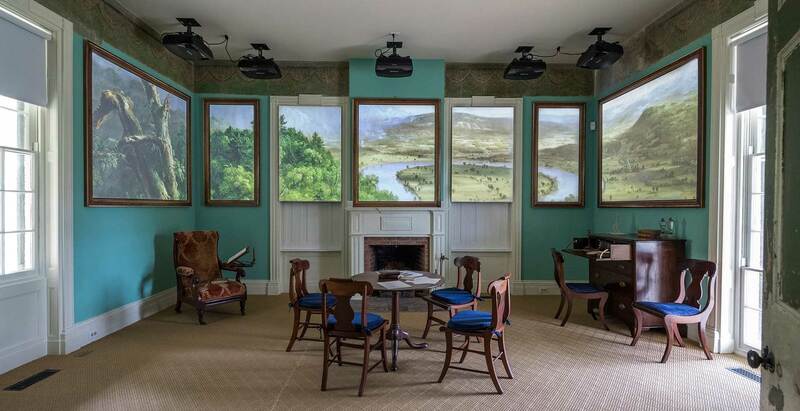 The experience immerses visitors in the conversations that took place in these very rooms, where the Hudson River School of landscape painting began, America’s first art movement. 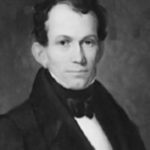 Who better to tell these stories than Thomas Cole himself? The multimedia installations bring his paintings to life and give voice to Cole’s original essays, letters and private journals. 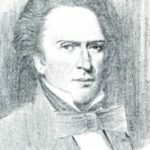 Thomas Cole moved into his home in the Village of Catskill in 1836 after marrying Maria Bartow and immediately embarked on a redesign of the first floor. 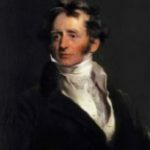 Thomas Cole is an artist with a strong point of view and he created bold and elaborate spaces that were used to display his paintings for guests and patrons. During the restoration of Cole’s interior designs, the Thomas Cole Site discovered something truly remarkable – original paintings by Thomas Cole on the walls of his home. Cole hand painted decorative borders in both parlors that had previously been lost to history under layers and layers of modern paint. The works were uncovered and today visitors can stand amidst Cole’s interiors, surrounded by his original decorative painting. At first glance, both Parlors appear as 19th century historic rooms. But further investigation reveals Cole’s original letters, essay and journals and of course his dramatic landscape paintings. In the East Parlor, the paintings on the wall come to life and visitors soar through the landscapes as Thomas Cole, given voice by the acclaimed actor Jamie Bell, speaks directly to you touching on his ambitions and his profound relationship with the American landscape. When visitors approach the historic furniture in the West Parlor, Cole’s private correspondence appears on the surfaces. The letters back and forth with his patrons get heated. What is beautiful? And what exactly is a landscape? Can imaginary views tell the truth? Can development be balanced with preservation? What is a “landscape” painting? Read about discovering Thomas Cole’s decorative paintings. Watch as the decorative borders are uncovered. The Parlors installation has been made possible by the National Endowment for the Humanities: Exploring the human endeavor, and also by the Institute of Museum and Library Services MA-10-15-0116-15. Support provided by Empire State Development’s I LOVE NEW YORK program under the Market NY initiative. Additional support provided by Herzog’s of Kingston, Geoff Howell Studio and the Hudson River Valley Greenway, Eli Wilner & Company. Any views, findings, conclusions, or recommendations expressed in this exhibition do not necessarily represent those of the National Endowment for the Humanities.Support for programs at the Thomas Cole National Historic Site is provided by the New York State Council on the Arts.